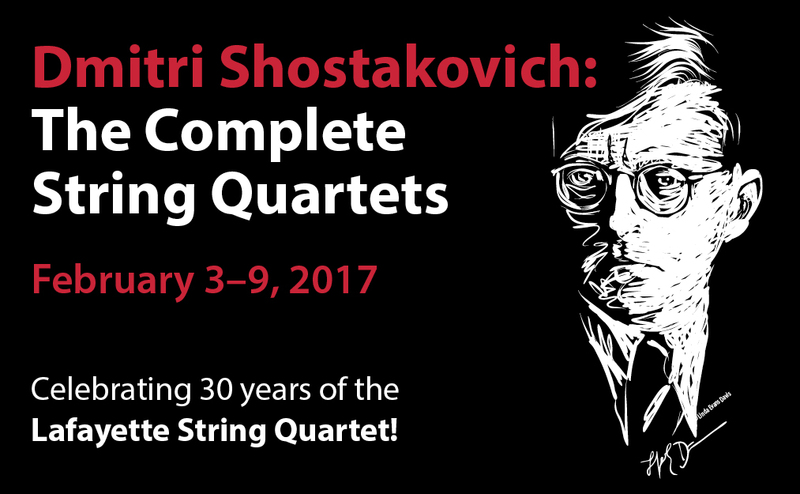 The Lafayette Quartet celebrates its 30th anniversary with the complete cycle of Shostakovich's 15 String Quartets. The cycle will be presented in 5 concerts along with pre-concert talks and lectures by visiting scholars. special heritage with these works as received from their mentor, violinist Rostislav Dubinsky, who knew and worked closely with Shostakovich. Judith Kuhn (University of Wisconsin-Milwaukee), and Patrick McCreless (Yale University).